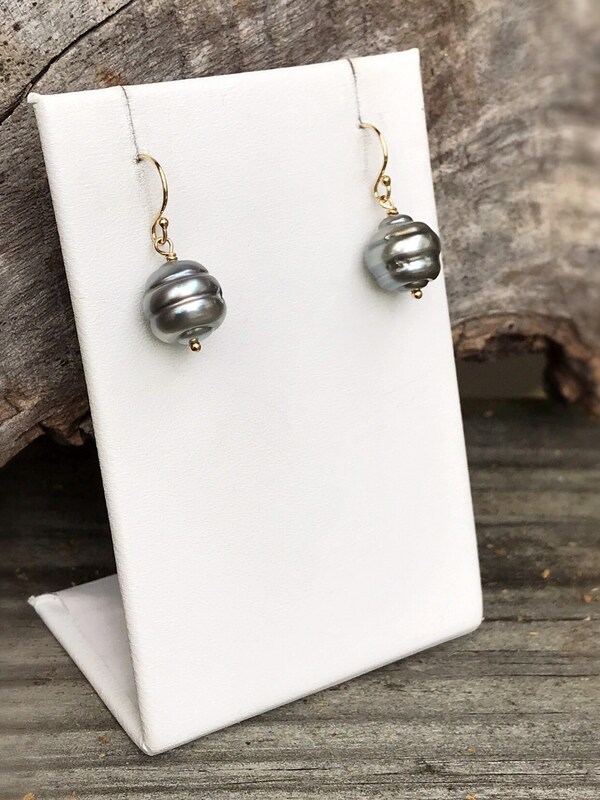 Two beautiful genuine baroque shape Tahitian pearls are the centerpiece of this simple and timeless pair of drop earrings. Set on 14k yellow gold filled headpins and dangling from 14k yellow gold filled ear wires, they make an elegant statement worn casual or dressed up. 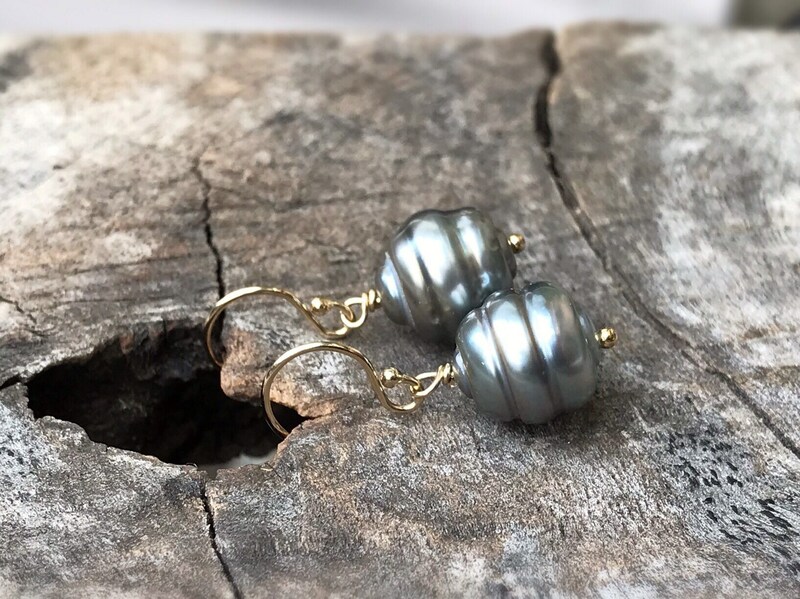 The color of Tahitian pearls can be difficult to describe as they often show many colors and take on different tones because of their nacre luster. These have a body color of silver/light golden bronze with overtones of lavender, silver, gold and pale blue. 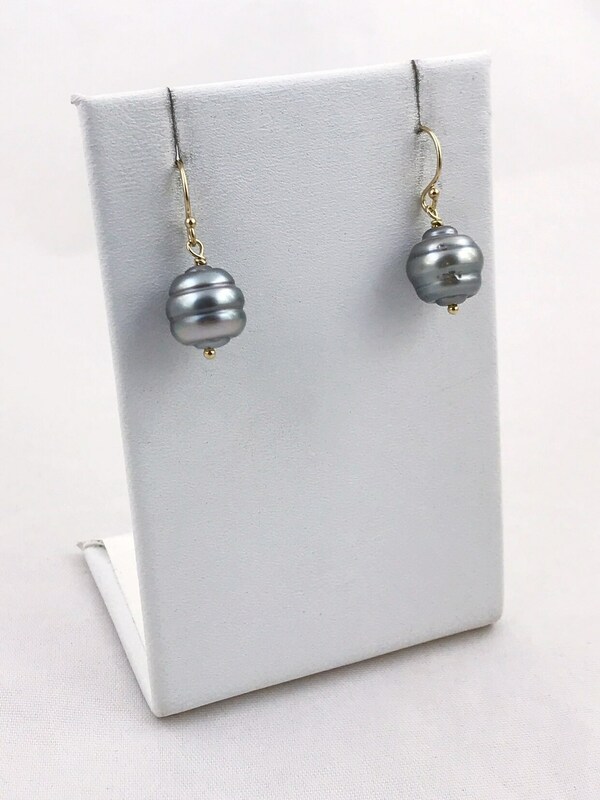 These earrings are one of a kind, you will receive the exact pair of earrings shown in photos. 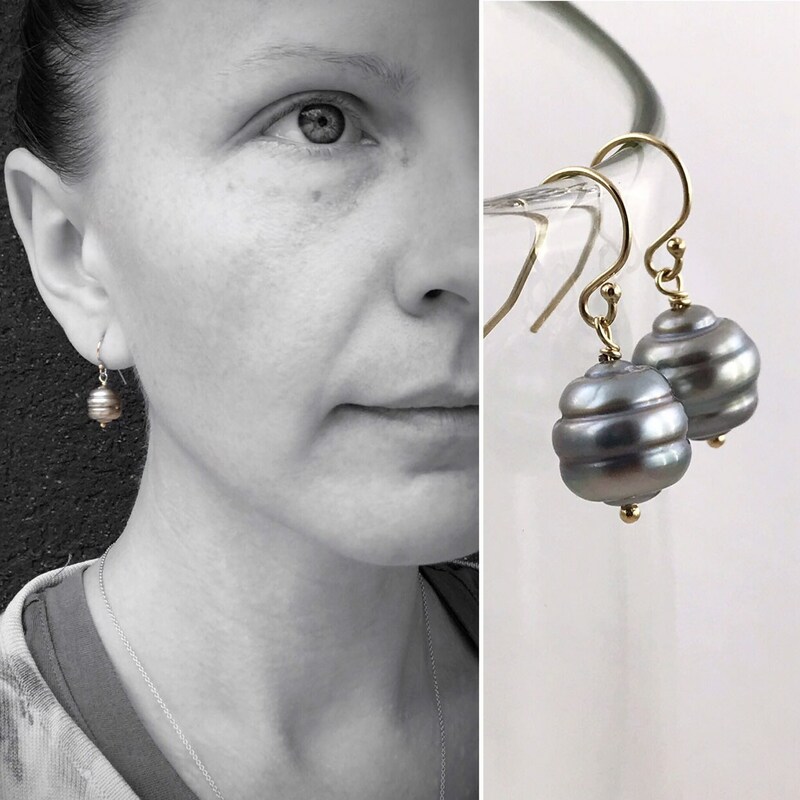 Pearls have been photographed in both indoor and outdoor light, at various angles and light directions to attempt to show all of the tones and colors they take on in different settings. 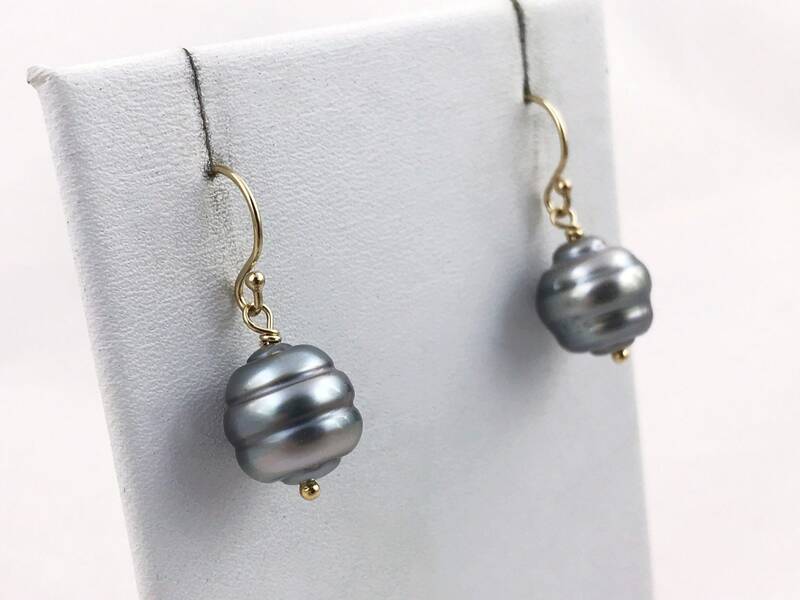 -Genuine untreated south sea saltwater Tahitian pearls, baroque in shape and silver/light golden bronze in color with lavender/silver/gold/pale blue overtones. Surface shows nice luster, ringed texture with some surface divots as typical with genuine pearls. 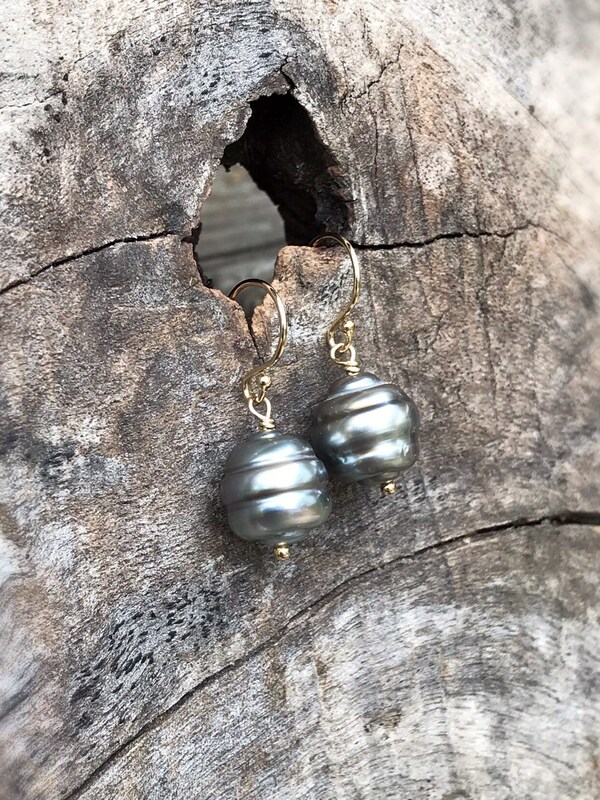 -Pearls are not identically matched as they each have their own unique features and shape, however they are well matched in size, luster and color tones. 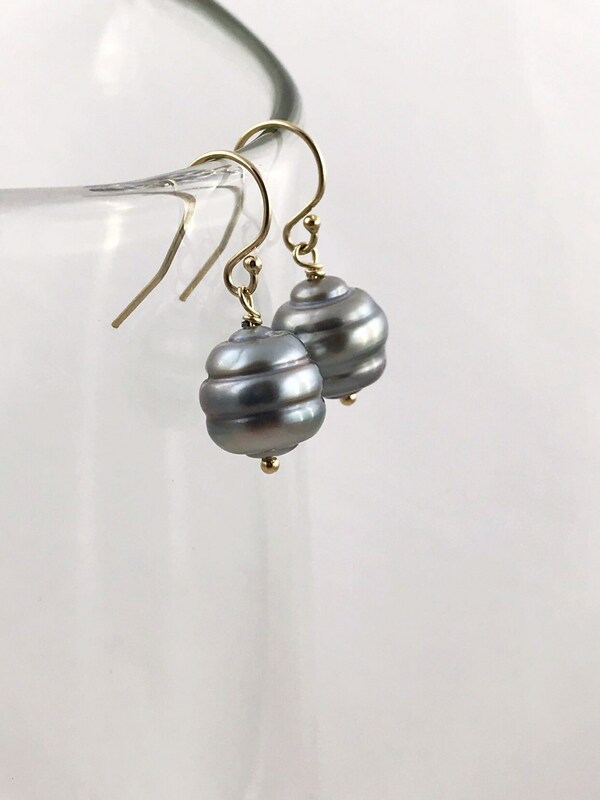 -Pearls were hand selected by me from a highly trusted collector and distributor of fine pearls, based in Tennessee and Florida, with over 4 decades of continual successful business in the pearl industry. 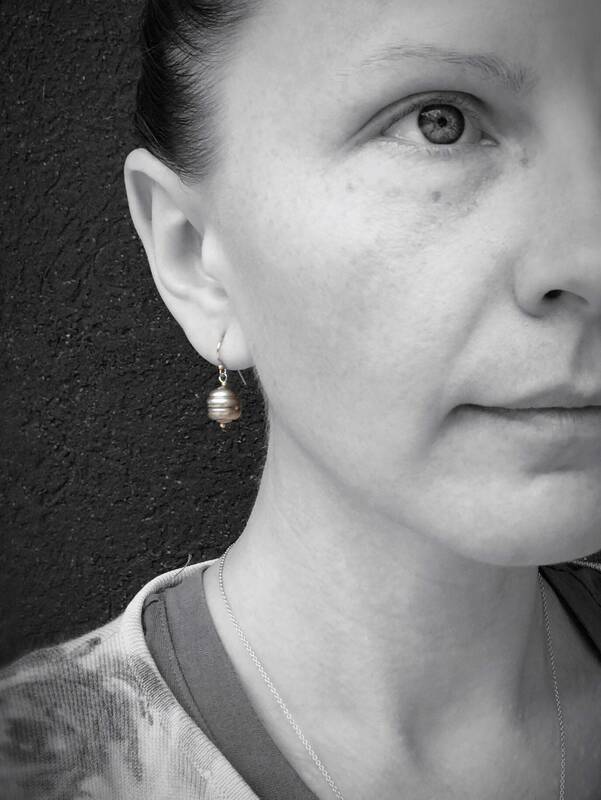 -Pearls measure 11mm (just over 3/8") length (not including headpins or ear wires) and 10mm (just over 3/8") width at their widest point. -Total length of earrings from top of earring hook to bottom of headpin is 26mm (just over 1"). Drop length from the connecting point at bottom of earring hook to bottom of headpin is 15mm (just under 5/8"). -Set on 14k yellow gold filled headpins with 14k yellow gold filled earring hooks to complete the design. Thank you so much for visiting my shop! If you have any questions about this design or any of the designs in my shop, please message me and I'll be happy to help! Gold-filled jewelry is composed of a solid layer of gold, which must constitute at least 5% (1/20) of the item's total weight, mechanically bonded to sterling silver or a base metal (such as jeweler's brass). Gold-filled items are 5 to 10 times thicker than regular gold plating, and 15 to 25 times thicker than gold electroplate, making it much more valuable and longer lasting because gold-filled has an actual layer of karat gold, not just a microscopic film as on plated jewelry which is estimated to be 0.05% or less of the metal product. Most gold-filled is 12kt or 14kt gold-filled (I use 14kt for my pieces). Gold-filled does not de-laminate or peel like plated or "dipped" products. It is tarnish resistant and does not tarnish as readily as silver. Many find that they never have to clean gold-filled items at all. However, from time to time your jewelry may become dirty from everyday wear. To clean gold-filled it is best to use mild soap and water.